Kenneth Weiss, the former CTO and Chairman of the Board at RSA Security, sued Apple Inc. and Visa in May 2017. Mr. Weiss is the founder of Universal Secure Registry (USR) and the inventor of RSA’s SecurID technology, and he is alleging that Apple Pay violates various patents he owns related to encryption technology. Below, we’ll examine the history surrounding the case and its implications. Mr. Weiss, who founded Secure Dynamics in 1984 and was its chairman until 1996 (when the company acquired RSA Data Security), holds 13 patents for various authentication systems he invented. Most of these patents are in security and encryption, specifically relating to smartphones, fingerprint identification, and token systems for secure financial transactions. 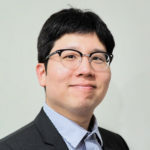 He founded USR with the mission “to be the enabling technology of the cashless society by licensing its proprietary authentication and identification software technology, entering into strategic alliances and cooperatively supporting third parties implementing USR technology”. Starting in mid-2010, Mr. Weiss states he had multiple meetings with Visa higher-ups to discuss a commercial implementation for his technology, culminating with Visa signing a 10-year nondisclosure agreement for access while also assigning engineers to understand its ins-and-outs. Mr. Weiss says he wrote to Apple multiple times beginning in July 2010, offering the opportunity to license the technology for their use. He alleges that both companies then ceased to communicate with him – Apple never responded to his query, and Visa never secured a license for commercial use. Three years later, Visa, Apple, and other major credit card companies worked together to create the Apple Pay technology, which was released to the public in 2014. The lawsuit argues that Apple Pay violates four specific patents (all of which are foundational to the platform) relating to technology invented by Mr. Weiss and held by USR – US Patent Nos. 8,577,813, 8,856,539, entitled “Universal secure registry,” and Nos. 9,100,826, and 9,530,137, relating to “Method and apparatus for secure access payment and identification”. The suit asserts that the defendants “have made extensive use” of these technologies, partnering “with each other and with other payment networks and banks to incorporate” it, but never entering an agreement with USR itself. The suit maintains that, after Weiss’ meetings with Visa officials in mid-2010, Apple and Visa began working together in earnest, beginning “at least as early” as January 2013, devoting significant resources “upon information and belief” to developing Apple Pay, with Visa assigning approximately 1,000 people to the project. There is a possibility that all parties concerned will reach a resolution before going to court. While neither Apple nor Visa has publicly commented on the lawsuit, Weiss has stated his intention to “get in a conference room and resolve” the disagreements. Whether Apple is willing to sit down and negotiate remains to be seen – the New York Times’ Vindu Goel noted that the company has been especially aggressive in recent patent-related royalty cases, battling with Nokia and Qualcomm over what it deems as unfairly high royalties for use of their technology. 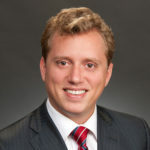 The law firm that filed the case on Weiss’ behalf, patent specialists Quinn Emanuel Urquhart & Sullivan, have prior experience with Apple, having represented Samsung Electronics in several lengthy disputes with the company. USR continues to evolve in the interim. Weiss made clear in a 2011 interview with the Boston Globe that “…he [was] not planning…to actually build [a] system,” but that appears to have changed in light of unsuccessful attempts to license their technology – they did not have an existing product when the lawsuit was filed, but a beta version is now available.